Our trimming services in Lake Norman can benefit your shrubs and trees in many ways. Removal of unnecessary growth- just like a person will struggle to focus on hundreds of tasks at once, a tree will be more efficient if it can send nutrients to a few larger branches instead of hundreds of tiny ones. Additionally, regular trimmings by a qualified arborist can catch diseased branches before the disease spreads to larger portions of the tree. Early detection provides your tree with a better chance of survival. Encourage growth- By temporarily removing height and some width from your tree, you actually are sending it the signal that it needs to grow. 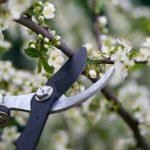 Not only will trimming services keep your shrubs and trees growing at a steady rate, but it will also keep the healthy growth looking good. Aesthetically pleasing- While you might not be able to tell when a tree has been through regular trimming services, you certainly can tell the ones that haven’t! These trees can look like they are badly in need of a haircut. If you have a tree that has been neglected, make sure you employ an arborist to complete your trimming services, as too much trimming or improper trimming can be traumatic to your tree or shrub. If you would like to learn more about how our team at Top Notch Tree Services can assist you with trimming services for your Lake Norman property, please contact us today!